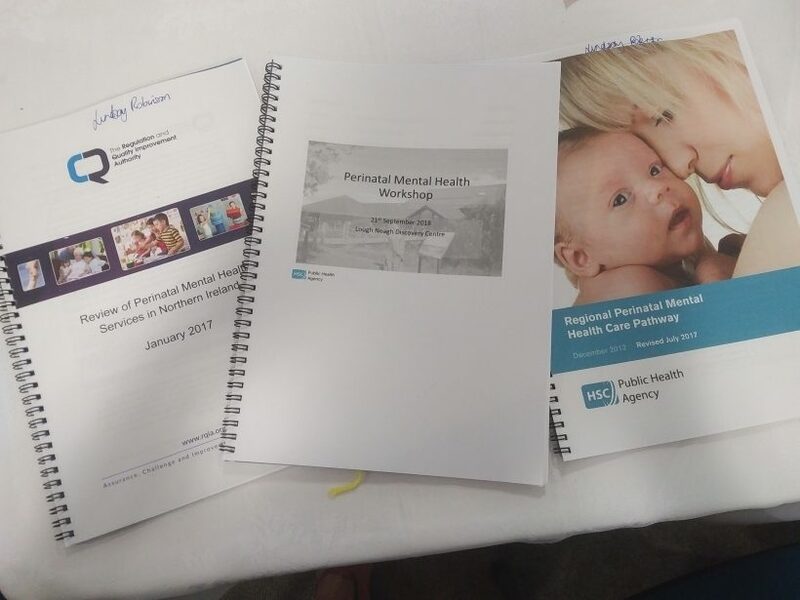 I spent Friday 21st September with the Public Health Agency at a workshop on Perinatal Mental Health. I’ve been working alongside them since the RQIA Review into Perinatal Mental Health was published and the PHA formed an Implementation Group to move these forward. I sit on a number of groups and attend regular meetings, all with the goal of seeing the 11 recommendations put in place in Northern Ireland. The day long workshop was about planning future models of services/ support for women & families, based on what they RQIA have said we must provide. I’m thankful to have a ‘seat at the table’, with the PHA and other bodies, and to be well enough to do all I can to speak on behalf of others who currently do or will need support. Because of that, I’ll continue to campaign until we see mums get the peer support, specialist services and Mother & Baby unit they need and deserve here in Northern Ireland! ← Anti-Stigma Award for Perinatal Mental Health Awareness Raising – WINNER!